This is not the case at PHRC, where our entire staff of physical therapists have had extensive training evaluating and treating male patients. health, medication side effects, and musculoskeletal dysfunction. issues that can cause ED and develop and individualized treatment plan. can improve erectile function in 75% of men. should be considered part of the surgical process. During a patient’s first appointment at PHRC a.k.a. the “evaluation appointment,” a physical therapist will take an extensive medical history. Following the history, the physical therapist will perform a thorough external and internal musculoskeletal examination. You are always welcome to have another individual in the room during evaluation and/or treatment. Following the physical examination, your physical therapist will discuss your physical findings, their assessment, and your prescribed treatment plan. This will include the suggested frequency and duration of physical therapy. For local patients, physical therapy treatments are weekly and one-hour in length. Usually a patient will undergo eight weekly sessions, at which time we will perform a re-evaluation and set new goals based on progress. 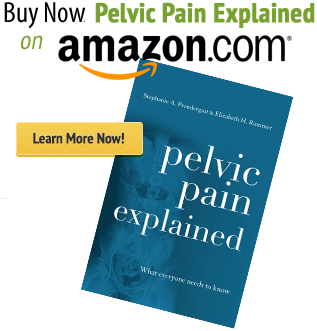 A patient with pelvic pain is typically seen at least 12 times; however, the duration may vary based on the severity and chronicity of the problem. The treatment you will receive at PHRC will be 100% one-on-one physical therapy. You will never be left alone in a room hooked to a machine, or left in the care of a PT’s assistant. In addition, at PHRC we embrace a multidisciplinary treatment approach, meaning that our therapists draw from all appropriate medical disciplines to develop a comprehensive treatment plan for our patients. 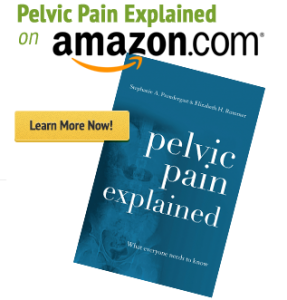 Toward that end, we have established a wide network of pelvic floor specialists throughout the country that we regularly draw from to round out our patients’ healing. Once your team of providers is in place, we embrace the role of team leader. In that role, we communicate and coordinate with all other providers as well as recommend any adjunct treatments that we believe can play a role in your healing. Another important tenet of our care is patient communication. Prior to your first appointment and throughout the treatment process, you will have access to your PT to ask questions or discuss concerns. It is our commitment that in every area of treatment, we will take that extra step (or leap!) to ensure that you receive the best treatment possible to meet your goals.